Legend of Zelda director Eiji Aonuma walks through the game's Clock Tower area; Video flaunts extent of visual overhaul. Nintendo has released two new videos which for the first time offers an in-depth look on The Legend of Zelda: Majora's Mask for 3DS. Played through by series director Eiji Aonuma, the first video opens up the game's Clock Tower level, showcasing the extent of its visual overhaul (new textures and models appear to have been added), as well as demonstrating how the Nintendo 3DS's bottom screen will be employed for the in-game map. This video can be watched above. Meanwhile, found below is a video from Nintendo that runs through the game's more cinematic moments and key characters. The Legend of Zelda: Majora's Mask originally shipped on the N64 at the turn of the century. Former GameSpot reviewer Jeff Gerstmann said the title, when compared to its predecessor (Ocarina of Time), was an acquired taste. The 3DS edition of Majora's Mask will launch in the US and Europe on February 13, which coincides with the New Nintendo 3DS release date. 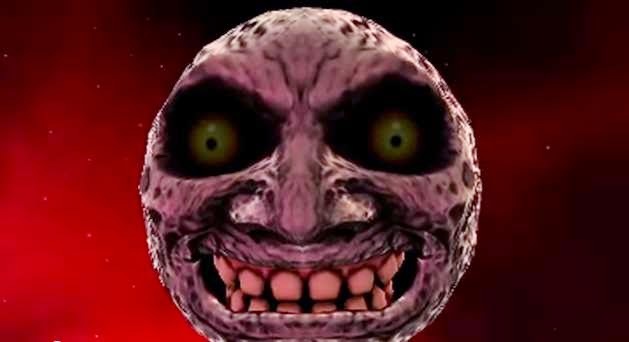 A special Majora's Mask 3DS system will also ship across both territories.